An individual, but shared, experience. 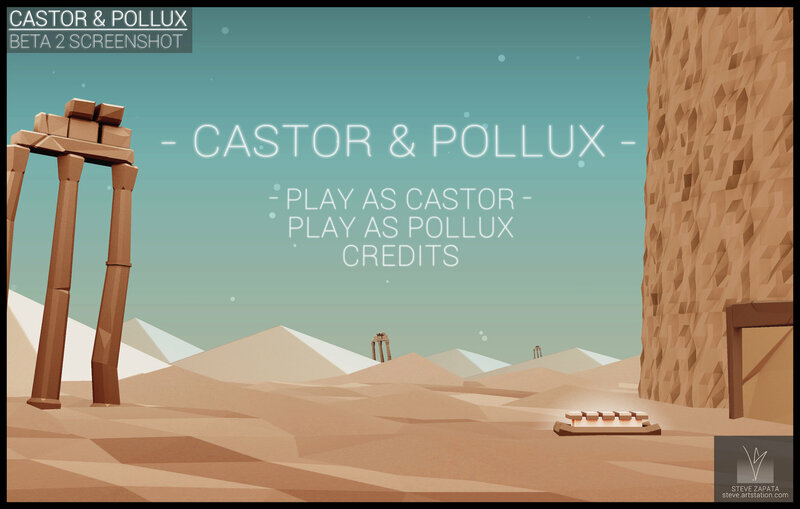 Castor & Pollux is an asymmetric co-op platformer for 2 players. 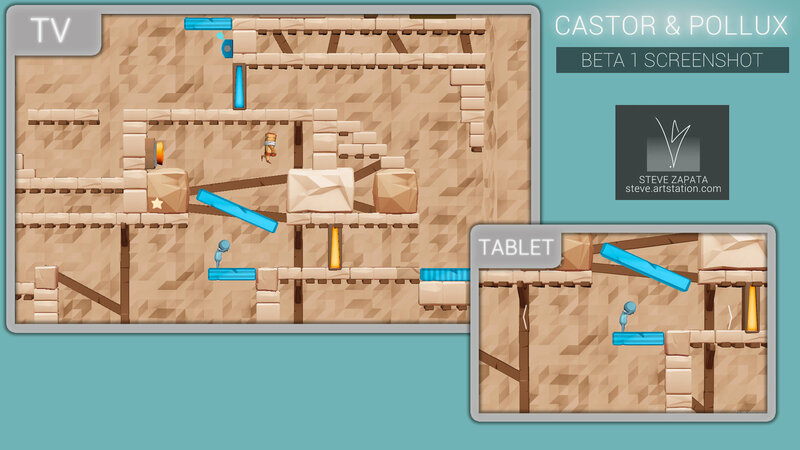 Inspired by the asymmetric design capabilities of tablets and the Wii U, Castor & Pollux challenges players to cooperate and share their unique, character-specific experiences. 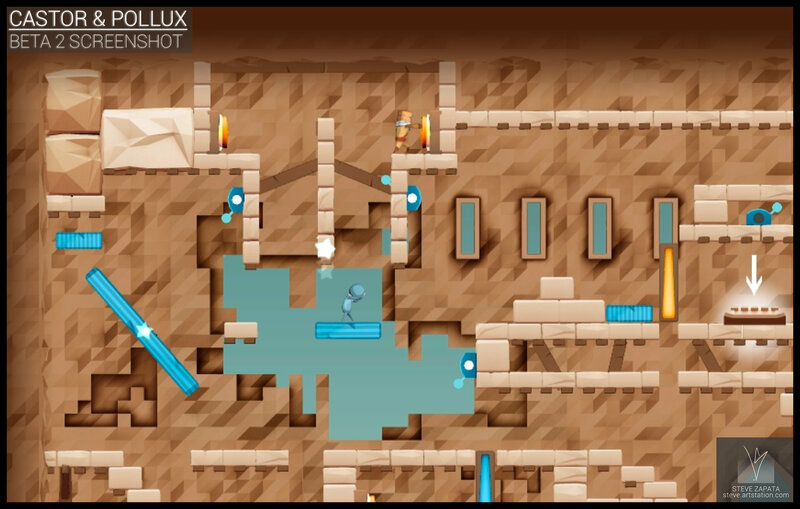 Players take the role of either the mighty Castor or magic-weilding Pollux and work together to traverse the puzzles of each level. 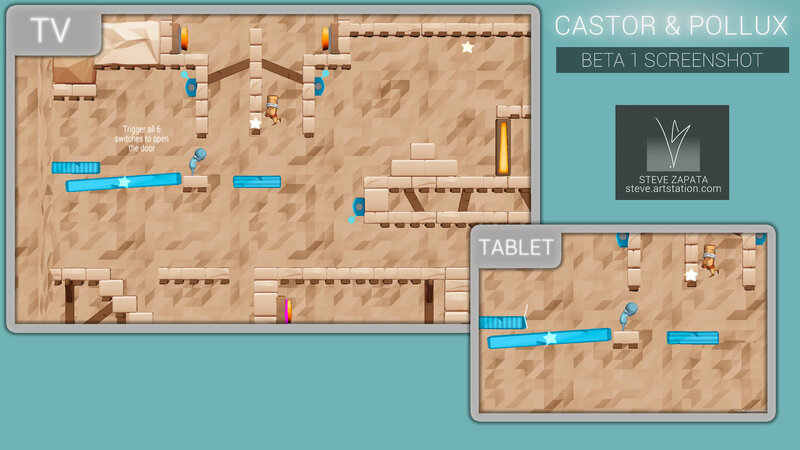 Castor focuses on platforming with a traditional controller or keyboard, while Pollux manipulates the world to solve puzzles via a tablet touch-screen. 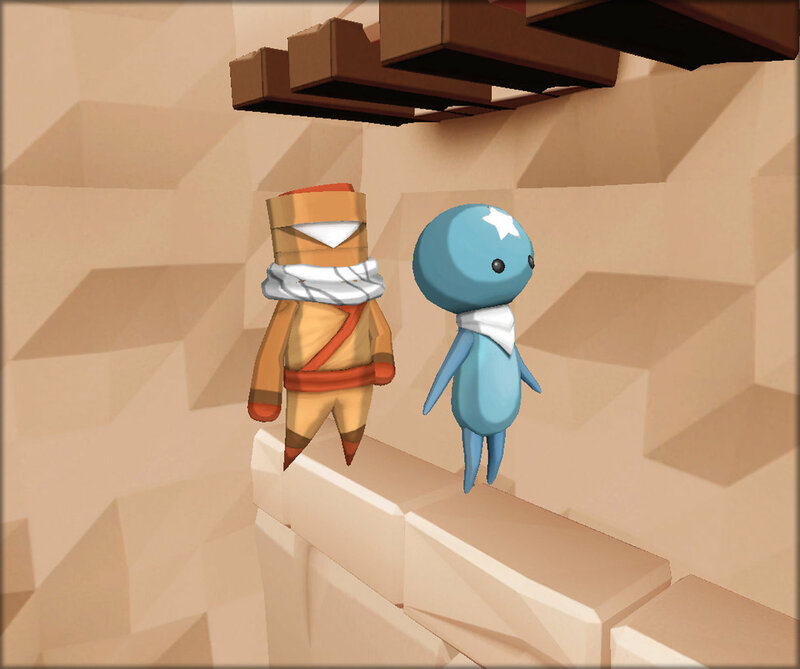 Inspired by the Grecian Gemini myth, the characters personify the game’s goal: being united by our differences and experiencing meaningful connections with others.